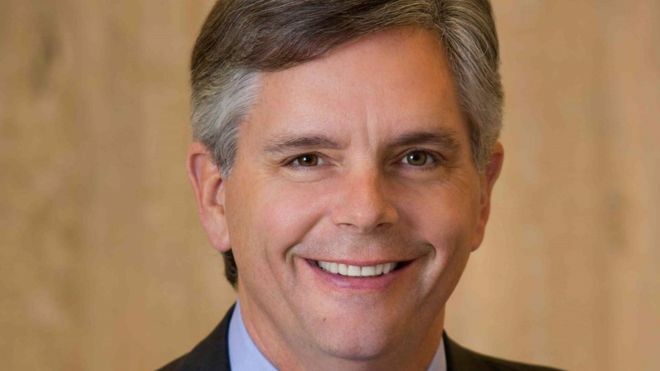 General Electric has ousted its chief executive, installing new leadership for the second time in two years as it struggles to return to growth. Larry Culp, a GE board member who ran US manufacturer Danaher for more than a decade, is to replace GE veteran John Flannery, effective immediately. Shares surged almost 10%, although the firm also warned it would fall short of its profit forecasts. Mr Flannery had been in the role for less than two years. He took over from veteran chief executive Jeff Immelt, who had led the US industrial giant since 2001.